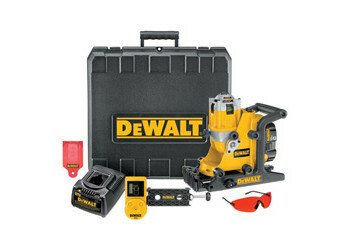 Dewalt Heavy-Duty 18V Cordless Rotary Laser - Combo Kit (Int/Ext). Digital laser detector extends interior & exterior range to 600 feet. Digital laser detector and clamp.